*** Caldecott Nominee *** Mike Norris and Minnie Adkins are treasures, and so is this book. 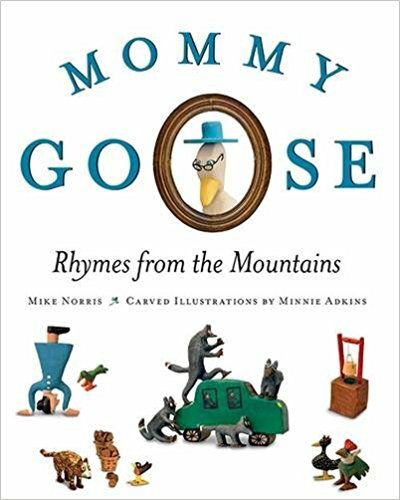 A collection of charming Appalachian nursery rhymes brought to life on each page with photographs of Minnie Adkins’ award-winning carvings–a craft she’s been perfecting since she was 5 years old. The book offers a sneak peek into Appalachian life and culture–the real deal. My copy includes a CD of Mike’s silly-delightful folk songs as well and a conversation with Minnie–priceless. This book is all heart and all Americana. I so love this. Be prepared to smile. And to be swept away to simpler times. We’ll have to eat soup.